← An open access publishing cooperative for anthropology? 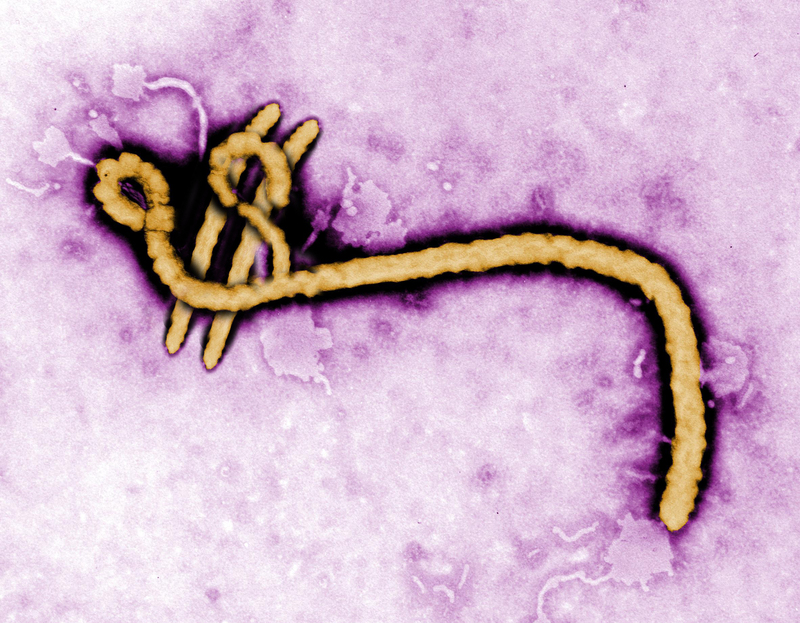 Original Ebola Virus Image by Frederick A. Murphy/CDC; downloaded November 3, 2015. Modification to image by Lukas Henne, November 3, 2015. Far away from the frontlines of the Ebola outbreaks in Sierra Leone, Guinea, and Liberia, where people and their caretakers die from the disease, new forms of humanitarian aid and global health financing are being leveraged behind closed doors. In Washington, D.C., London, and Geneva, long-standing government-to-government models of global cooperation and international development assistance, imperfect as they are, are being supplanted by new forms of finance that prioritize profits for private shareholders. Global health futures, it appears, are poised to become more deeply embedded with private instruments of high finance. Some economists argue that these new forms of finance are new models of global cooperation that will benefit millions (e.g., Collier 2013). Some venture- and philanthrocapitalists posit that these new forms are necessary to motivate nation-states and individuals to fix global health problems (e.g., Egerton-Warburton 2015). And while new forms of financing introduce new opportunities, they also introduce new vulnerabilities and risks to global publics. Market-driven pandemic response financing is currently being promoted by the World Bank as the means for attending to funding shortfalls. In a turn away from redistributive, taxpayer-based donor health aid, financial instruments like the World Bank’s Pandemic Emergency Facility — known more colloquially as “Ebola bonds” — look increasingly likely to finance future global pandemic response. The need to study these financial instruments is urgent: instrument ‘making’ is happening now at the World Bank and mostly out of public view. Word on the street is that World Bank personnel and others expect some pushback against this instrument because of the way it uses market gains and speculation to make money for human health crises. Markets may make money, but they also lose it. How will the public verify that future pandemic funding has actually been secured? Private sector reporting standards are far less transparent than those for tax-payer public monies, which means that future financial gains and preparedness lack the usual oversights and accountability measures. How will investors make money on Ebola? The same way they currently make money on natural disasters. Cat bonds — short for catastrophe bonds — have been around for several decades and insure events like, for example, bad weather in the Pacific islands that causes food crop and infrastructure damage. To hedge against such events, the World Bank has facilitated the development of catastrophic insurance instruments, and countries with severe weather histories have been encouraged to buy such insurance. Cat bonds are usually short-term bonds of three years, with shares purchased by investors who are willing to ‘hold’ the chance that an insurance company will pay out claims if a natural disaster like a flood or hurricane hits. Investors ‘buy’ the risk by buying premiums on existing policies; their money is pooled as a means to frontload funds in the case of a catastrophe. They make money when they hold a three-year cat bond for a natural disaster that does not happen (Lewis 2007). The logic goes that when many countries buy insurance protection and if those products are pooled and bundled, the risk that the insurance companies will have to pay out more than they have collected in premiums is spread out over more geographies. Lesser geographic concentration of possible payout is better for the insurer and reinsurance investor. Applied to Ebola, the same model aims to similarly pool and frontload money from investors willing to buy Ebola bonds. The World Bank wants to create and sell these new insurance products so that private investors, rather than nation-states, are fronting response money. Poor countries would be encouraged to buy or be assisted in buying pandemic insurance. The thinking goes that the need for public multilateral funding of disease response will diminish if Ebola bonds catch on. Commodifying infectious disease, natural disasters, and, yes, even extreme mortality is an attempt to build future financial preparedness with the incentive of financial return. The idea is to use the market to spread out the financial risk to investors and insurers. There are multiple compositions of insurance and reinsurance; some involve arbitrage, hedge funds, and derivatives, never mind that these financial instruments come with the greatest degrees of risk and the highest chance that money will be lost. This is not an exaggeration. Recent evidence shows that the bundling of insurance policies increases fiscal precarity. During the 2008 global economic crisis, one of the deepest, most detrimental fault lines in the economy was the way the mortgage insurance giant AIG (American International Group) bundled mortgage guaranty insurance polices and sold and resold them. This co-mingling of financial stakes with stakes of life and death — the loss of money versus loss of life — takes the global health community into a precarious new financial order. World Bank advocates of the facility argue that the world needs a Pandemic Emergency Facility because there is no existing fast-disbursing finance mechanism. The Facility, they say, would remedy this. In this view of the outbreak, Ebola got out of hand because there wasn’t enough money. While it is undeniably true that money is essential to any pandemic response, medical anthropologists have documented bottlenecks of many other sorts — communicative, affective, and bureaucratic — that delayed the fast and appropriate care of sick people, their familial caretakers, and health personnel. Regardless, the World Bank theorizes that with this facility money would be dispensed quickly and the pandemic managed prudently. The Ebola bond is a parametric insurance instrument (rather than an indemnity) that ‘holds’ the money until funds are ‘triggered’ and payouts are made to pre-approved countries and organizations, including the World Health Organization. Anthropologists have already documented at some length how pre-agreed triggers and pre-approved recipient processes are particular kinds of political bottlenecks that can slow and stall eligibility for the most vulnerable people with the greatest need, regardless of the amount of money at the ready. Money is not the only problem in an Ebola outbreak. Banking praxes have been documented by anthropologists as structurally detrimental to the health of populations, not least in Dying for Growth: Global Inequality and the Health of the Poor (Common Courage Press 2000), a book co-edited by Jim Yong Kim. (Kim, a medical anthropologist, is currently president of the World Bank.) Structural Adjustment Programs (SAPs) — a World Bank and International Monetary Fund instrument championed since the 1970s — have been shown to intensify immiseration (Pfeiffer and Chapman 2010) and, because of required cuts to public health response systems, shape the health of millions (Kentikelenis et al. 2015). The same institutions that endorsed SAPs is now recommending Ebola bonds. There is no denying that, as a matter of doing business, instruments of global profiteering strategically move into less regulated, less sovereign global spaces, like those in West Africa. In nation-states like Sierra Leone — where government drawdown has been mandated since the 1980s as a condition of receiving foreign loans and aid — social welfare sectors like health are highly vulnerable to not only unregulated profiteering, but also to going along with financial programming recommended by global institutions. Ebola bonds are only one aspect of the financialization of the disease. Patent buy-up in the life sciences is also well under way. Global philanthropic organizations are quietly joining with private patent acquisition companies — sometimes called patent trolls — to “take on some of humanity’s toughest problems through the power of invention by drawing on resources normally reserved for commercial pursuits in the developed world” (Intellectual Ventures 2015). Intellectual property is among the world’s most valuable financial assets in our global health knowledge economy, and patent monopolization has consequences that reach far beyond financing. The legal right to control the use, application of, and procedural techniques for genes, pathogens, and cell lines, for example, levies powerful influence over global health science, discovery, and innovation. Patent acquisition companies say they are providing a service, buying up and bundling together for scientists the intellectual capital they require to create new products and knowledge. Critics beg to differ after observing that some of these companies are buying up patents to intentionally establish monopolies over particular health technologies and commercial life sciences sectors, as well as intending to drive up the price for the use or purchase of patents. Another group of patent acquisition companies are simply buying up patents and then suing any group of users they can find for patent infringement without making anything more than the lawsuit itself as their primary economic labor. As the world moves more deeply into a world where clinical and global public health efforts are comingled with investment logics and financial knowledge practices, global health futures are becoming more intrinsically shaped by private instruments of high finance. As with the Pandemic Emergency Facility, we need to pay close attention to the originating policy architectures (Erikson 2008). The global leaders and institutions in place to manage Ebola and future pandemics are promoting and engaging in a kind of financial experimentality (i.e., Nguyen 2009, Petryna 2005). With some stealth, global philanthropic foundations are quietly leading the way in the global transition of global public health funding models to private financial models featuring shareholder return on investment, resulting in a further de-coupling of public finance from public health goods. Anthropological research cautions that new technologies and administrative praxes do not always link up with improved outcomes for people. Using ethnographic method to examine what new financial innovations benefits whom opens up analytical tracks to assess differential stakes in well-being — corporeal, financial, environmental — and provides analytical traction to assess financial instruments capable of both advantage and injury. The moment is now to assess what is working to reduce human suffering and what financial structures may also need to be upended because they, in the final assessment and however unintentionally, hurt people. We are in an historical moment when nation-states, businesses, and thought leaders throughout the world are working with tensions between state and market forces. The tensions are revolutionizing global health financing, introducing legal rights to monetary return within the global health sector, and allowing for higher degrees of shareholder self-interest than ever before. Many of the new financial instruments for health I’ve touched on here bypass democratic nation-state processes, foreign policy directives, tax, and regulatory regimes. As a global community, we do not know what these new arrangements may mean for human health. A global health driven by investors’ expectations of return is a public health risk of yet unknown magnitude and scope. Collier, Paul. 2013. Aid as a Catalyst for Pioneer Investment. WIDER Working Paper No. 2013/004. Oxford: UNU-WIDER. http://www10.iadb.org/intal/intalcdi/PE/2013/10883.pdf, accessed Oct 2, 2015. Egerton-Warburton, Christopher. 2015. Creating a New Source of Capital for Global Health. Reimagining Global Health. http://ic2030.org/2015/07/source-capital/, accessed Oct 24, 2015. Erikson, Susan. 2008. Getting Political: Fighting Smarter for Global Health. The Lancet 371:1129-30. Intellectual Ventures. 2015. http://www.intellectualventures.com/globalgood/, accessed Oct 21, 2015. Kentikenlenis, Alexander, Lawrence King, Martin McKee, and David Stuckler. 2015. The International Monetary Fund and the Ebola Outbreak. The Lancet 3(2): e69–e70. Petryna, Adriana. 2007. Experimentality: On the Global Mobility and Regulation of Human Subjects Research. PoLAR 30(2):288-304. Pfeiffer, James and Rachel Chapman. 2010. Anthropological Perspectives on Structural Adjustment and Public Health. Annual Review of Anthropology 39:149-65. Susan L. Erikson is an anthropologists and an Associate Professor of Global Health in the Faculty of Health Sciences at Simon Fraser University, Vancouver, British Columbia. She can be reached at slerikson@sfu.ca. Image Credit: The original image was downloaded on November 3, 2015 from the Center for Disease Control and Prevention’s Public Health Image Library. Created by CDC microbiologist Frederick A. Murphy, this colorized transmission electron micrograph (TEM) revealed some of the ultrastructural morphology displayed by an Ebola virus virion. The original was modified on November 3, 2015 by Lukas Henne. Post-Script, Still Longer Shadows: Guillaume Lachenal on "In the Shadow of Ebola"
Erikson S. The Financialization of Ebola. Somatosphere. 2015. Available at: http://somatosphere.net/2015/the-financialization-of-ebola.html/. Accessed April 23, 2019. Erikson, Susan L.. 2015. The Financialization of Ebola. Somatosphere. http://somatosphere.net/2015/the-financialization-of-ebola.html/ (accessed April 23, 2019).